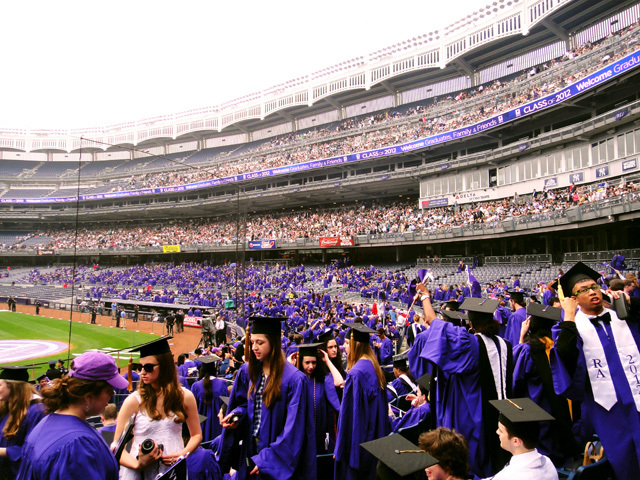 The Imperfect University: Graduation – a bit London 2012? Whilst there is something to be said for the total experience of the US style commencement, I do think the UK model is hard to beat in its mixture of pomp, flummery and joy. And it is quite a bizarre event when you think about it, with few parallels in public life; whilst weddings, funerals, christenings and knightings come close they all involve smaller numbers of people whereas in graduations hundreds of people are the centre of attention, albeit only for a few moments each. Graduation days are just about the only days in the university calendar when everybody is happy or at least the smallest number of people are gloomy. 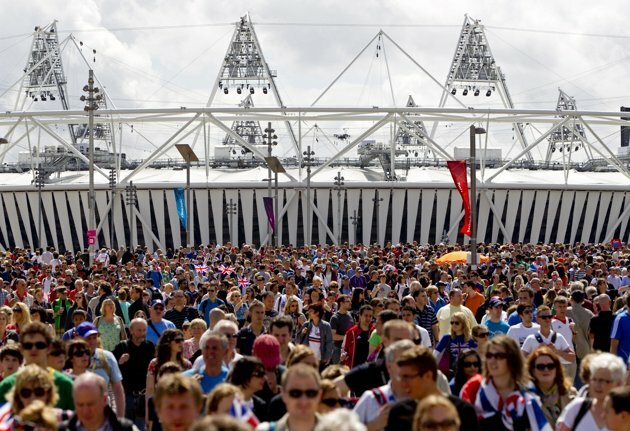 The closest parallel I think is with the atmosphere around the London 2012 Olympics and Paralympics where the experience in all of the venues and on Olympic Park was one of uniform near rapture from volunteers, staff, participants (most of them) and audience alike. OK the various garish sportswear combinations aren’t quite as formal as gowns, hoods and mortar boards but the analogy broadly holds good I think. Organising graduation ceremonies is one of most thankless tasks in the administrator’s panoply of duties. I’ve often thought it is a bit of a short straw in that many aspects of your work are extremely visible (and permanently on record, available on DVD for a very reasonable price), you are dependent on lots of other people doing what you expect of them and there are just dozens of things which can go wrong and over which you have little or no influence. Senior staff, whatever their role in the event, will always delight in passing on some helpful bits of advice about where things went wrong or could have been improved. According to University legend, the graduation cap (the Geneva Bonnet) was made using material from the breeches of John Knox. I’m sure it was orange when I graduated but it looks a bit different in the photo. It also now strikes me as rather unlikely that the said item would have lasted for 400 years of head bashing (and it would be generally rather unhygienic too). It also seems a distinctly odd thing to decide would be a good way to signify graduation. If you are attending a degree ceremony to confer your MA (or DD, DCL, DM or MCh), you will be required to kneel in front of the VC, who touches each person on the head with a Testament, admitting them ‘In the name of the Father, of the Son, and of the Holy Ghost’. It’s slightly less elaborate at Nottingham although there is lots of bowing. Indeed students, regardless of instruction, never seem to know whether they are bowing to the Chancellor, the Vice-Chancellor, the crest behind the stage, the platform party or the mace. They will bow to just about anyone. As with most universities we do have a heavy and finely crafted mace. One day someone might explain why. We also have Marshals of various kinds and levels of seniority and an Esquire Bedell (who looks after the mace). All of these people, despite their strange titles, are key to making the event happen and to ensure that students actually make it to the front, across the stage and back to their seats without mishap. Gowns can be pretty hot and some of more ceremonial officers’ robes even more so: Nottingham’s chancellor has a train and plenty of very heavy gold trim. The best gown ever saw was I think from a Spanish university. Bright orange with a very chic pillbox hat it looked as if it had been unchanged for 500 years. The 60s were a boom time for gown designers with the new universities at that time looking for a contemporary take on the traditional style (I am told); UEA gowns were designed by Cecil Beaton who clearly had fun with the hoods. There was another spate of gown design excitement in 1992 when all the new universities launched and then began adopting their own appropriately differentiated livery. Gown companies, of which there are only a handful in the UK, have really got this market literally and metaphorically sewn up. Beyond the gowns there can be some interesting dress issues for graduands and, despite the very sound advice issued to all about the inadvisability of trying out stilettoes for the first time many people do. Despite lots of inappropriate footwear – from flip flops to biker boots – people rarely fall over or off the stage. I do know I’m getting old though because of my irritation at the number of graduands who think casual wear is appropriate for such a ceremony. Attempts to legislate have so far failed. It’s pretty easy to have all your lazy prejudices confirmed about the kind of students following different kinds of courses. For example, you can be pretty sure that at least several archaeology graduands will have long hair and beards. It is inevitable that many art history and psychology students are tall and blonde. Physiotherapy students have the firmest handshakes. Names, particularly but not always of international students, are quite tricky and sexing the graduand can also occasionally be problematic and embarrassing for the Dean if called incorrectly. On the plus side, British graduands often have amusing middle names which no-one has ever heard attributed to them before. Some members of the platform party seem to find it challenging to stay awake for an hour on a stage. Even when you are clapping a lot (or pretending to clap because you have sore hands from excessive clapping in the previous ceremony). Drinking at lunchtime is generally not conducive to effective working, including at graduation. Just because you only have to walk and clap doesn’t mean you can drink with impunity. Sleeping on stage is still frowned upon. You have to behave. Furtive blackberry use is going to be noticed. Even so, lots of parents and friends of graduands will have lots of pictures of people in funny dress doing odd things on stage. Every university has some really oddly titled courses and we all appear, judging by the small number of graduands on some programmes, to have many more uneconomic courses than we thought. These are not things to raise with members of faculty during the procession. I’ve written before about these and a previous post noted the two broad categories for the recipients of honorary degrees. Although there are a few borderlines, by and large I think it’s still the case that you can divide the worthy holders of honoraries into serious or celebrities. Another post on last year’s round of awards noted the wide range of celebrities who have collected honoraries, from Donald Sinden to Pam St Clement. An even earlier piece noted the success of some individuals in accumulating large numbers of honorary awards (although Kermit has still only got the one degree as far as I can tell). It’s all good fun although can get messy if you decide, as Edinburgh did in the case of Robert Mugabe, that the recipient is not perhaps as worthy as he once was and ask for your degree back. Recipients of honorary degrees, or in the US where famous individuals are invited there just for this purpose, normally deliver an address to inspire and uplift the new graduates. There are thousands of US commencement speeches on you tube and many lists of the best including this rather good one. Graduation is still a major rite of passage. It remains one of the most wonderful events in the university calendar and, for all concerned it is generally a positive and forward looking event. Everyone is thinking about future work or study or other plans but also with fond reflection of their time at university. There is an over-riding sense of optimism even in the most difficult economic circumstances. It’s a bit like having the Olympics in your patch every year. This entry was posted in Alumni, Education, HE, Honorary Degrees, Imperfect University, Management, Registrar's Department, Students, University, University of Nottingham and tagged Administration, Cambridge, commencement, graduation, HE, Oxford, Students, universities, University of Nottingham by Paul. Bookmark the permalink.